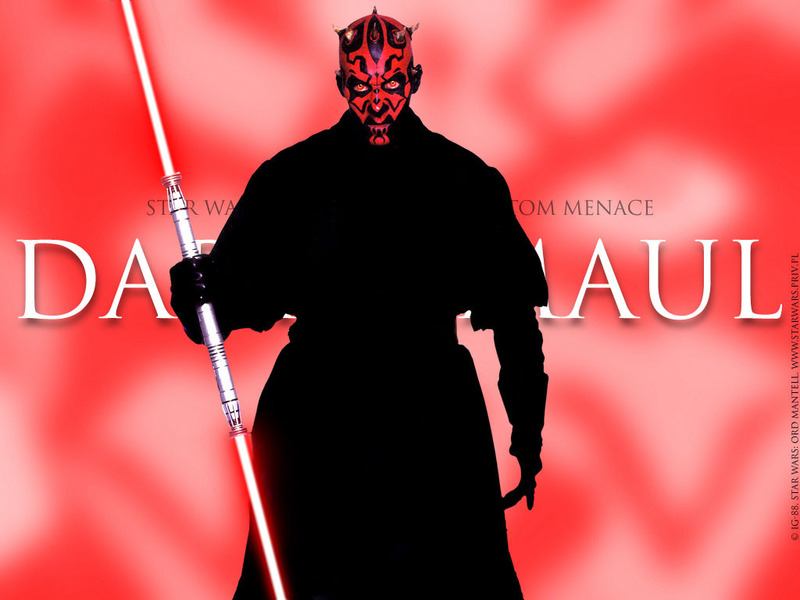 The only movie in which Darth Maul appeared was "The Phantom Menace"
As the primary antagonist (in addition to the Trade Federation) in Star Wars Episode I, “The Phantom Menace”, Darth Maul garnered a bit of attention, especially as the apprentice to Lord Sidious. He had some great fighting scenes with Jedi knights, yet, he gets sliced in half by Obi-Wan Kenobi and it seemed as if he was not that important of a character – he only lasted just that movie. However, when they mentioned that he was still alive in Star Wars: The Clone Wars, I thought that was stupid: everybody saw as clear as day that he was sliced in half and went down some long shaft – there’s no way he remained alive! Having liked Star Wars: The Clone Wars, I was upset that the writers were insulting our intelligence trying to bring him back! But, after watching a couple of episodes, I didn’t mind, actually. At the end of Star Wars: The Clone Wars, I realized that it was actually brilliant what they did with bringing him back. This piqued my interest and, as I mentioned in the fall, I wanted to compile all of his television and movie appearances and get a better understanding of him. With the imminent release of the continuation of the Darth Maul story in Dark Horse Comics book, coming out next month, I realize that now is the time to work on it. So, look out for Darth Maul posts in the coming weeks.